Project schedules should be dynamic schedules that maintain themselves when update information is entered. 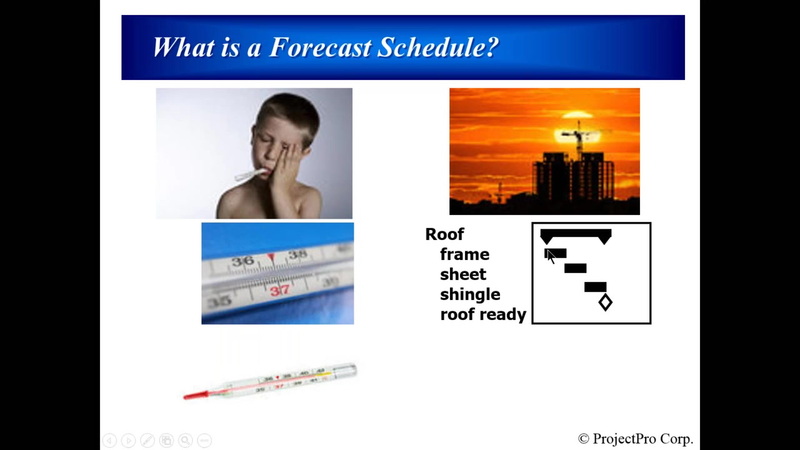 Project Schedules generate the most benefit for an organization if they forecast projects well. ProjectPro developed an application that helps project managers create dynamic schedules that forecast their projects: The Forecast Scheduling App. We will demonstrate how this app helps project managers and project office staff to improve their schedules. Project office staff can audit project schedules with our app and generate a detailed report. *This is a FREE MPUG Vendor Session. Presenter will discuss Microsoft Project add-ons and how they can streamline the integration of various applications and Microsoft Project in a no pressure, stress-free environment. These add-ons are not out-of-the-box functionality and require product trial or purchase. Eric Uyttewaal is one of the foremost trainers, consultants and authors on portfolio and project management software from Microsoft. He authored the books Forecast Scheduling with Microsoft Project 2010/2013. He founded ProjectPro that specializes in Microsoft Project and Project Server. Eric has been involved in large programs at the Canadian Forces, IBM Cognos, Northrop Grumman, SanDisk and Investors Group. He was President of the PMI Ottawa Chapter in 1997. Eric received awards from MPUG in 2012 (Community leader), from Microsoft since 2010 (MVP) and from PMI in 2009 (“Significant Contributions to the Scheduling Profession”).